The field of quality improvement in cerebrovascular neurosurgery is being driven by data that has little clinical or technical relevancy. Consumers are hungry for data that is simple and easy to access and understand. The government and insurance companies are stratifying neurosurgeons in order to cut healthcare cost. Cerebrovascular neurosurgeons spent little time defining their own specific quality measures in their field. They have reasonably been focused on refining their ability to treat complex cerebrovascular pathologies, requiring some of the most technically challenging and critical decision-making capabilities of all of neurosurgery. However, the current quality measures applied for reimbursement and ratings does not take this into account. Rather cerebrovascular neurosurgeons are being rated and reimbursed based on measures such as the number of UTIs a patient has or whether their hospital has an Alzheimer’s unit. Here we discuss the evolution of quality improvement that started with internal assessments limited to physicians with expertise in their respective fields, to the current state where the reimbursement and acknowledgment of our practice is being driven by social media through consumer satisfaction, government, private, and insurance companies. Measurable outcomes determine the progress of a field. 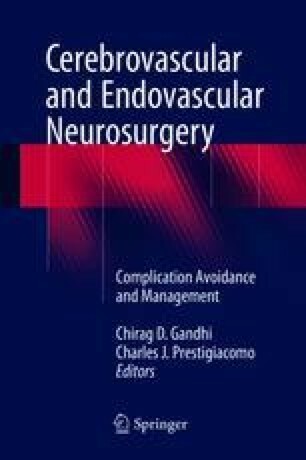 To continue evolution of this complex field of cerebrovascular neurosurgery, there is a need for internal development and application of specific quality improvement measures that are relevant to cerebrovascular neurosurgery. Olmsted MR, Geinsen E, Musphy J, Bell D, Morley M, Stanley M. Methodology: U.S. News & World Report Best Hospitals 2014–15. 2016. http://www.usnews.com/pubfiles/BH_2014_Methodology_Report_Final_Jul14.pdf. Accessed 27 Apr 2016. Rosenthal E. The hype over hospital rankings. The New York Times. 2013. http://www.nytimes.com/2013/07/28/sunday-review/the-hype-over-hospital-rankings.html?_r=0. Accessed 13 Sept 2016. UHC Website. United Healthcare Consortium. https://www.uhc.edu/cps/rde. Accessed 21 Sept 2016. The Joint Commission. Facts about federal deemed status and state recognition. https://www.jointcommission.org/facts_about_federal_deemed_status_and_state_recognition/. Accessed 21 Sept 2016. PQRS. What neurosurgeons need to know 05.15.16. 2016. http://www.aans.org/Legislative%20Activities/Patient%20Safety%20and%20Quality%20Improvement.aspx. Accessed 14 Sept 2016. QOD. The Quality Outcomes Database. http://www.neuropoint.org/NPA%20N2QOD.aspx. Accessed 21 Sept 2016. NVQI. Neurovascular Quality Initiative. Available at: http://nvqi.org/. Accessed 11 Mar 2017. Get With The Guidelines. Stroke overview. http://www.heart.org/HEARTORG/HealthcareResearch/GetWithTheGuidelines/GetWithTheGuidelines-Stroke/Get-With-The-Guidelines-Stroke-Overview_UCM_308021_Article.jsp#.VyEyYCnXJH0. Accessed 27 April 2016. Gonzalez LF and Mocco JD. Cerebrovasuclar neurosurgery and outcomes. Assessing quality. How do neurosurgeons measure up? Congress Quarterly. 2013. https://www.cns.org/system/files/congress_quarterly/CNSQ_13spring_0.pdf. Accessed 21 Sept 2016. Sternberg S. Medicare’s new hospital ratings draw immediate ire. US News Magazine. 2016. http://www.usnews.com/news/articles/2016-07-27/medicare-releases-controversial-hospital-star-ratings. Accessed 14 Sept 2016. Comprehensive Stroke Center Requirements. DNV-GL Website. https://issuu.com/dnvbaus/docs/2015levelcomprehensivestroke_progra?e=5700932/33413838. Accessed 21 Sept 2016.